The Heckscher Museum of Art hours have been extended. The Museum is now open Wednesday through Sunday until 5:00 pm. Celebrate First Friday at The Heckscher Museum of Art. Explore the Museum’s exhibitions during extended viewing hours and enjoy unique musical performances inspired by artwork on view. First Friday is generously sponsored by TD Bank, through the TD Charitable Foundation. Enjoy a musical evening in honor of National African American History Month and motivated by the Museum’s Rabble-Rousers exhibition. World-renowned percussionist Bryan Carrott performs solo repertoire and discusses the historical, cultural, and musical impact of jazz on society. Beginning February 1, The Heckscher Museum of Art will be accepting entries for the Long Island Biennial 2014, an exhibition featuring works by visual artists of Nassau and Suffolk Counties. This year’s jurors will be Dan Christoffel, Artist in Residence, Adjunct Professor, LIU Post; Renato Danese, Danese Corey, New York; and Helen A. Harrison, Director, Pollock-Krasner House and Study Center, East Hampton. Inaugurated in 2010, the Long Island Biennial is a juried exhibition that offers Long Island’s contemporary artists an opportunity to show their work to a broad public, deepening the connections among artists and between artists and the communities where they live. Approximately 40 works will be selected for the exhibition, and all submitted entries will be posted in the Long Island Biennial Gallery on the Museum’s Website, providing an overview of current artistic practice on Long Island. Visit www.heckscher.org for more information. The Long Island Biennial is a collaborative project with Cinema Arts Centre in Huntington. Video artists and filmmakers should submit works directly to CAC. For more information, visit www.cinemaartscentre.org. Selected in part to provide inspiration for students participating in the Public Art Initiative Teen Poetry Project, Poetry for the HART, sponsored by the Town of Huntington, this exhibition showcases works with appeal to a wide range of aesthetic sensibilities. Brightly colored, energetic paintings by Stuart Davis, George D. Green, Richard Hennessy, and Wayne Gonzales provide vibrant contrast to evocative landscapes by Ralph Albert Blakelock, Jerome Blum, and Matthew Spender. Also on view are figure paintings and portraits by George Grosz, Adolphe Alexandre Lesrel, and Florine Stettheimer. 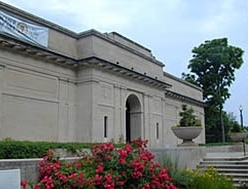 The Heckscher Museum of Art, founded in 1920 by August Heckscher, serves the people of the Town of Huntington and surrounding communities. Through exhibitions of its permanent and loan collections of art and related programs, it seeks to provide inspiring and transformative educational experiences to encourage a broader understanding of our past and present and enrich the quality of life of the individuals it serves. The Museum’s Permanent Collection contains more than 2,200 works from the early 16th century to present. For information about The Heckscher Museum of Art, visit www.heckscher.org. Huntington Township Residents admitted FREE Wednesday after 2:00 pm and Saturday before 1:00 pm. Proof of residency required. Available to any bearer of a Geneva Convention Common Access Card (CAC), a DD Form 1173, a DD Form 1173-1, a Veteran’s DD-214, or a Veteran ID card and a driver’s license. Includes active military personnel (Army, Navy, Air Force, Marines, Coast Guard, National Guard, and Reserve) or Veteran and up to five (5) family members (spouse, child, aunt, uncle, grandparent, etc. ).